Much time has been spent over the last 20 years celebrating Steve Jobs but there is something else we ought to talk about which, at a fundamental level, gives each of us a tiny bit of the ability to change the world. When I was a child, an incident made an imprint in my mind for years to come. While visiting a somewhat distant relative of mine, a boy of perhaps 5 years more my age, I found him busy working on what seemed to be his own version of an audio amplifier. He had obtained the parts for a midrange speaker and the wiring and was making a wooden enclosure to fit it all into. This was an alien concept in a world I came from - the big city - where we hardly had any time to cobble up a speaker at home. We went out and bought it! Several years later, while in Western New York attending University, I made a lot of American friends and visited some of them at home. I was surely impressed by their candidness and friendly attitude, but something about their homes really blew my mind. It was a garage! A different sort of garage. A garage stocked with hundreds of tools. Tools with which people did projects! What was a project? Well, anything from making your own wooden cabinets, to crafting and tuning your own hot rods. Infact, one evening, I found myself visiting the home of my manager and was just fascinated when he showed me his garage. He had several model aircraft to show me, and even revealed a half finished CNC router he was working on. He told me he wanted to make one on his own so he could cut the foam and balsa wood required for the airplanes he flew. In a world where flying your plane at the local model airplane rally was serious business, I could understand what motivated him so much. Several others impressed me with their tales of welding their own bicycle frames and making their own furniture. While describing their tools, they would attach an almost godlike reverence to them. So it's not the homebrew club i want to talk about when I began this post. What predates the homebrew computer club or the Whole Earth Catalog is a very elementary philosophy. It is the ethos of hacking. Hacking, not in the strict computer sense of the word, but the activity of using tools, methods and procedures to devise your own "things" for self-reliance. 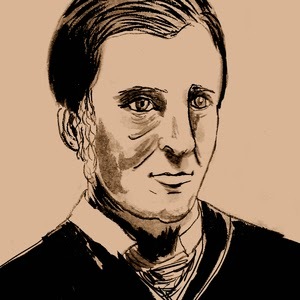 Ralph Waldo Emerson in a famous essay on self-reliance admonishes a need for consistent conformity to society and evokes the notion instead of believing in your own thought. He writes: "To believe your own thought, to believe that what is true for you in your private heart is true for all men, — that is genius." It is apt to link this transcendental American philosopher's words with the craft of making things because at a fundamental level, this activity takes first and foremost a belief that you make something yourself . It is a feeling that you can dig up from within the deep gulf of your mind many elements, memories and experiences, link them together and create. It is a confidence that you get when you feel you have the tools and the time to create. It is the wisdom you get from making mistakes and trying to create better the next time. It is this philosophy of self reliance that predate Steve Jobs, Nicola Tesla, Newcomen and many other giants who put together the mechanisms that drive our modern civilized world. They have answered questions that have helped mankind move forward. They had the time and the drive to answer the biggest questions. Personally, I find the spurts of inspiration are abundant. Currently I'm fixated on the idea of creating a network of indoor wireless sensors for my home to monitor ambient conditions. I'm also investigating a technological platform for a gas sensitive drone. Several other ideas seem to come and go but I struggle a bit with the time required to execute these plans. Which is unfortunate because time is a hard to find resource. In a fast paced society where our human brains are forced to share its resource power among things like the cell phone, the TV, constant exercise, family and many friendships (some pointless), a chunk of our cognitive load is lost on things we could other use to create. I find this to be one of the greatest impediments to free thought. I'm done here. But I'd like to hear your experiences on this topic so do write in!